I began my veterinary career in 1990 after graduating from the University of Queensland. After working for a number of years as a general mixed practitioner, I pursued my growing interest in horses. In 2004 I was admitted as a member of the Australian College of Veterinary Scientists by examination in Equine Medicine. My main interests are equine internal medicine and reproduction, and l but consult on all farm species, particularly cattle and alpacas after horses. I am lucky to have such a professional team of veterinarians and veterinary nurses who share my desire to provide high quality veterinary care. I have tremendous support from my lovely wife Tanya, and 2 beautiful children, Theresa and Nick. My main interests outside of work are my family, fishing & recreational aviation. I graduated from the University of Queensland in 1994. I worked in mixed practice in Allora on the Darling Downs for 2 1/2 years. Moving to the coast allowed me to be closer to my family and to receive the professional support of a larger practice. Even though I continue to see all animal species it became clear that small animal surgery brought me the most enjoyment. A couple of years of study and a set of examinations in 2003 allowed me to a become a member of the Australian College of Veterinary Scientists by examination in Small Animal Surgery. Regular visits to specialist centres helps me to bring new surgical techniques back to the practice. I consider myself fortunate to have two wonderful children, a dog, a cat, five chickens and one fish. My hobbies include squash, touch footy, sailing and building / gardening projects around the yard. I joined the Cooroora family - then Veterinary Surgery just before Christmas in 2003 after graduating with honours. I initially started at the clinic doing both small and large animals, however demand and my own interest has seen my days filled with my favoured areas. Dentistry of horses is very rewarding due to the rapid improvement in a patients well being and performance which makes for happy owners and riders. In 2012 I was admitted as a member of the Australian & New Zealand College of Veterinary Scientists by examination in Equine Dentistry. Lameness and care for performance horses is also an area of particular interest to me. I spend my spare time with my wife and four legged family Diego, Lily,Sunny, Dougie and Angus. I started my veterinary career at Gympie following my graduation at the University of Queensland in 1990. I enjoy the challenges and diversity of mixed rural practice having grown up on a farm north of Mackay. After owning and managing a successful practice in Central Queensland for 16 years, my family and I sold in pursuit of a sea change and fresh start for all at the Sunshine Coast and the team at Cooroora Veterinary Clinic in late 2017. I have varied interests in both companion animal surgery and medicine along with general cattle work. I’m supported by my wife and 4 daughters. In my spare time I like to garden, hike, travel, spend time with family and attend DIY projects. Danielle Flint BVSc (Hons), BVBiol. I graduated from the University of Queensland in 1997 with a Bachelor of Veterinary Science with honours, and a Bachelor of Veterinary Biology with distinction. During my final year at university I spent time working with Ben and the team at Cooroora and decided that this would be my dream job, but it took many more years before I finally made it back to the Sunshine Coast! 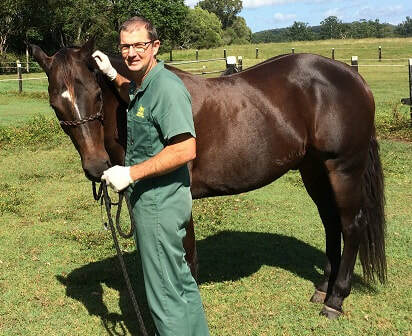 I've worked in small animal, equine and mixed practice in Brisbane and in England and have become increasingly focused on small animal medicine and surgery over time. I settled into companion animal practice in Brisbane for many years after my return from the U.K., and then moved to the beautiful Sunshine Coast Hinterland in 2009 to continue working in this area. I am delighted to join the wonderful team at Cooroora in 2017. I have a special interest in small animal emergency, general and preventative medicine and in optimising the health of our pets by addressing underlying causes of chronic ill health. I am also interested in working holistically to provide integrative veterinary medical care and am undertaking further veterinary studies in this area. I love living in the Hinterland with my two wonderful boys along with 7 miniature cows, 7 horses, 4 chooks, 3 dogs, 1 cat and 1 snake. We divide our time between horseback adventures in the forests and hills around home and exploring our spectacular coastline and beaches. I grew up on a cattle property on the Atherton Tablelands up in North Queensland, and have ever since had a keen interest in rural mixed practice and large animal vet work. After a year on hiatus studying architecture in Brisbane, I finally got around to following my true calling and studying Veterinary Science at James Cook University in Townsville. Whilst studying up north, I found time to keep my keen interests in fly-fishing, spearfishing and cattle breeding alive, whilst still helping the folks on the family run beef enterprise back home. I graduated in 2017 with a university medal and since have gotten straight into work here in Cooroy. 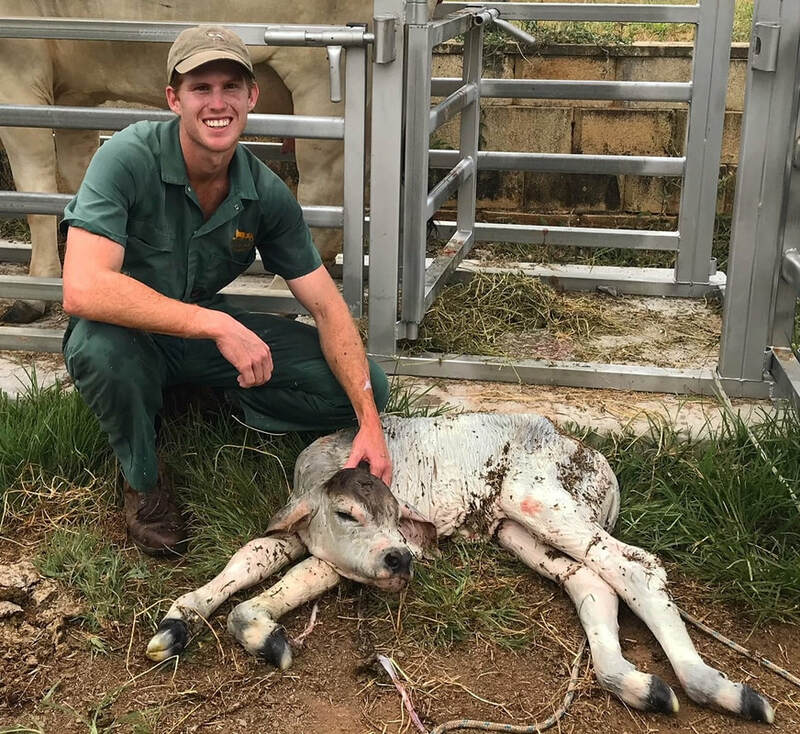 Since joining the Cooroora family I hope to continue to grow in all areas of mixed practice, whilst fostering a keen interest in all things large animal related, particularly bovine health and reproduction and equine medicine. Whilst not at the clinic you’ll find me either out spearfishing off the coast or headed west for some down time in the bush. This is my absolute dream job, and along with sparking a bit of youth into to the clinic, you’ll be sure that I’m keen and enthusiastic about getting stuck into anything! I joined the Cooroora Vet team after graduating with honours from Veterinary Science at the University of Queensland in 2017. Originally from Brisbane, I spent a few years in the Lockyer Valley before relocating to my favourite place in the world: the Sunshine Coast! I enjoy all aspects of mixed practice and am looking forward to finding my special interest niche. When I’m not working, you can find me at the beach, hanging out with my two horses- my beloved retired show horse and my (hopefully) champion in-the-making, or out walking my very energetic Kelpie dog! I'm Deanne also know as De. I have had a love for animals since childhood, particularly dogs. I am a mother of 3 and have three dogs. In my spare time I enjoy all types of arts and craft and I am also a movie buff. We have a great team of people here who work together very well. I recently became Nurse Manager and have enjoyed coordinating such a professional nursing team. I am looking forward to pursuing my interest in veterinary nursing management. 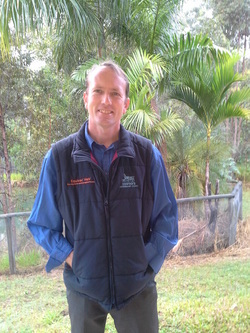 I joined the Cooroora Vet nursing team in 2006, bringing with me 16 years experience working with animals. I am very proud to have achieved my Nursing qualification of Cert IV in 2012 after five long years of study. I am looking forward to gaining my diploma in emergency and critical care. Before joining the Cooroora team, I worked as a dog trainer and established one of the first reward based dog training schools in Australia. I have also worked with Veterinary Psychologists in behavioural counselling and managed boarding kennels. In my spare time you will find me training, working or competing with my Kelpies, bushwalking, fishing or developing my property. 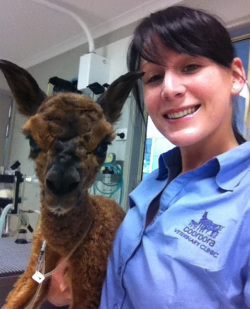 My name is Raechelle and I joined the Cooroora Veterinary Crew in Feb 2010. In my years prior to Vet Nursing I worked in the equine industry for many years and always had a particular interest in animal health. I completed my Cert 4 in Veterinary Nursing in March 2012 and may look to do my Equine nursing Cert in the future. My hobbies are horse riding, fishing, cooking, horticulture and camping At the clinic I have a particular interest in biochemistry/haematology, endocrinology and medical nursing. Hi, I'm Robyn. I started my nursing career in Sydney in June 2000. I moved to the Sunshine Coast in October 2005 and started with Cooroora Veterinary Clinic in January 2006. I currently share my home with 3 beautiful cats - Lily, Monte and Rosie and my 2 beautiful dogs - Bentley and Murphy. I am passionate about cats in general. I also have an interest in the surgical side of nursing as well as administrative duties. I love the Aussie bush and try to get out in it when I get a chance, especially if climbing something challenging is involved. the Cooroora Vet Clinic Team. I have been vet nursing for 16 years, I enjoy surgical nursing & reception administrative duties. Living on a small farm. I have an assortment of animals, cattle, 1 horse, dogs, 1 cat and ducks. In my spare time I love bush walking and exploring the hills with the metal detector, still waiting to find that big nugget ! 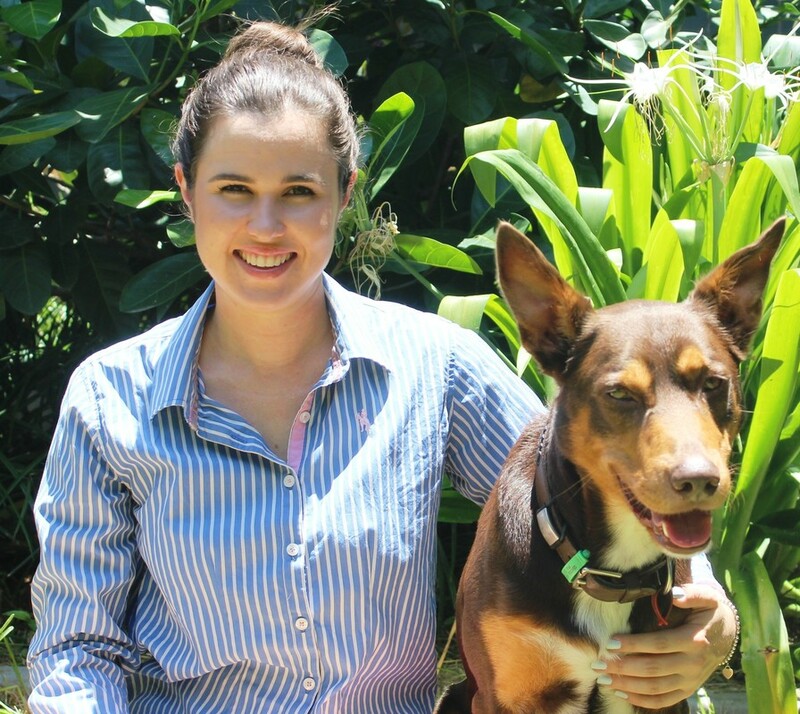 Hi my name is Celina and I have recently joined the team at Cooroora Vets. I feel very lucky to work with such a great bunch of people. I am currently completing my Vet Nursing Cert IV. My main interest is surgery, however, I love everything about my job . I'm really enjoying all of the new learning opportunities which are allowing me to develop into a great vet nurse. I have an interest in horses, so perhaps in the future I will further my study, and venture into Equine Nursing. In my spare time, I am a mum to my beautiful son, and I enjoy family time with both him and my husband. We have a cheeky dog called Roxy and a horse called Bikky, which I enjoy riding, when I get some "me" time.